Justin and Winka with Kristin Feireiss from AEDES Berlin at the start of the Panel discussion: “Don’t Tell Me it Can’t Be Done"
The Aedes Opening of “Flat Lands and Massive Things – From NL to NYC & Beyond” was a great success. The panel discussion of “Don’t Tell me it Can’t Be done” was widely attended and we would like to thank the panel of Alessandro Pelsino (Abet Laminati), Fulvio Serra (Archiglaze), Bostjan Vuga (Sadar Vuga), David Zampini (Cemex) for their contributions and Almut Gruntuch-Ernst for the moderating of the panel . 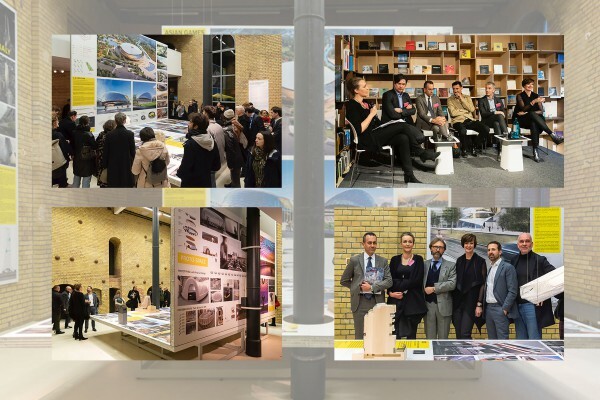 15.03.19	– ANCB Conversation: "Don't Tell Me It Can't Be Done"
The lecture and discussion will give an insight into the methodology and creative process of Archi-Tectonics, combining the use of the latest digital technologies with a philosophical approach that made the office one of the leading teams in the field of research and and innovative building design worldwide. "Flatlands & MassiveThings–From NL to NYC",​ an exhibition that explores the philosophy, methodology and creative thinking of Archi-Tectonics, will be on view at Aedes Architecture Forum in Berlin from March 16 - April 25, 2019. There will be a lecture and discussion at 5:00pm on March 15, followed by the opening reception at 6:30 pm. On display will be six recent projects of Archi-Tectonics, including the Hangzhou Asian Games 2022 Sports Park & Stadiums, and several projects currently under development and presented here for the first time. 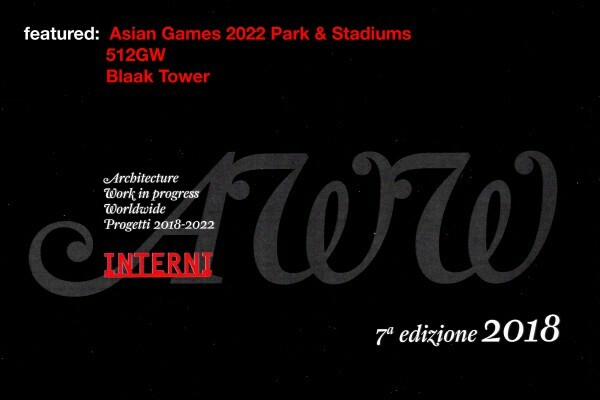 Three of our projects are prominently features in INTERNI Magazine 7th Edition 2018 "Architecture Work in progress Worldwide / Progetti 2018-2022: Asian Games Park & Stadiums / Hangzhou, 512GW townhouse NYC, and Blaak Tower / Rotterdam. "On the 14th of June 2018, the Iris Ceramica Group of Milan, opened its doors to the innovative approach of the famous New York based studio Archi-Tectonics, founded in 1994 by the Dutch-born architect Winka Dubbeldam. 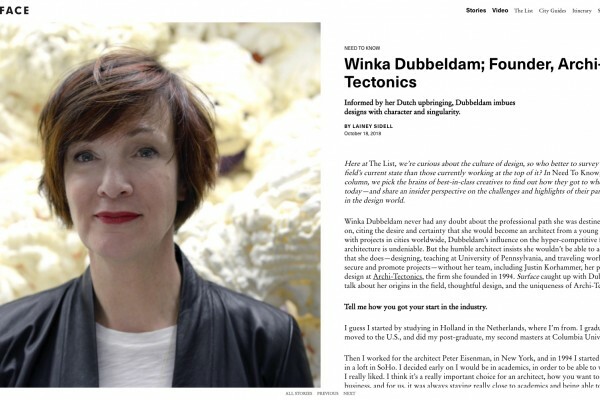 The lecture was followed by an interview with Winka Dubbeldam, on the design strategy of Archi-Tectonics, paying particular attention to the concept 'New Solids'." "Il 14 Giugno 2018 lo spazio milanese della holding Iris Ceramica Group, ha aperto le porte all’approccio innovativo del celebre studio newyorkese Archi-Tectonics, fondato nel 1994 a New York dall’architetto olandese Winka Dubbeldam, con headquarters non solo nella Grande Mela, ma anche nei Paesi Bassi e in Cina. La proiezione è stata seguita da una conferenza tenuta direttamente da Winka Dubbeldam, che ha approdondito il modus operandi e la strategia progettuale di Archi-Tectonics, dedicando particolare attenzione al concetto “New Solids''." l 14 Giugno, alle 18.30, lo spazio milanese della holding Iris Ceramica Group, ha aperto le porte all’approccio innovativo del celebre studio newyorkese Archi-Tectonics, fondato nel 1994 a New York dall’architetto olandese Winka Dubbeldam, con headquarters non solo nella Grande Mela, ma anche nei Paesi Bassi e in Cina. Ecco il video integrale. Interview with Winka Dubbeldam, by Lainey Sidell with SURFACE , about inspiration, further goals, and current projects. 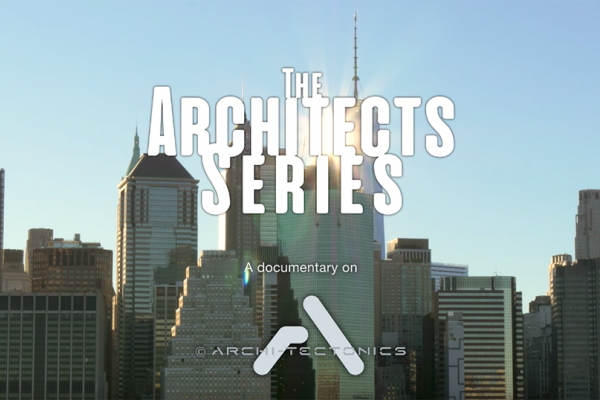 in this interview such as Winka's methods to running Archi-Tectonics, her role as Chair of the Department of Architecture at the University of Pennsylvania School of Design, and questions about some of Archi-Tectonics's recent projects such as the Q Tower. This was only a portion of what was discussed as you can check out the full interview by clicking the link below! 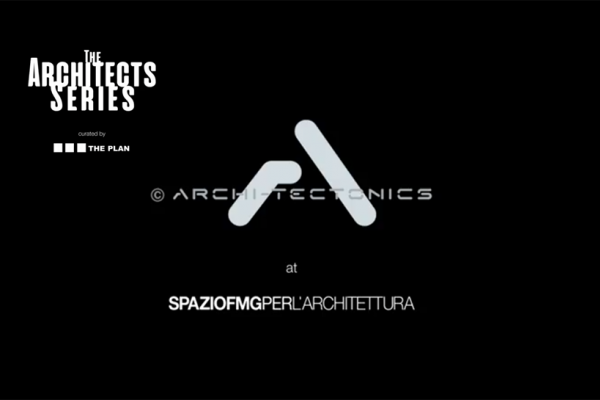 Archi-Tectonics was invited to be included for an Exhibit and lecture in SpazioFMG per l’Architettura in Milan, as well as in the third chapter of The Architect Series, an exclusive video format presented by The Plan Magazine. Winka was present at the lecture discussing the methods and design strategies of Archi-Tectonics while focusing on the latest concept of “New Solids”. The opening took place on June 14th in SpazioFMG per l’Architettura via Bergognone 27, Milano. Plan magazine also launched a special edition Architects Series book for the occasion to be included in their magazine. Archi-Tectonics was invited to participate in Collapse: Climate, Cities, and Cultures, an exhibition at New York University that showcases environmentally orientated design practices from organizations in different parts of the world. The exhibition was open from June 12th to June 29th at the Gallatin Galleries and showcased the Q Tower, one of Archi-Tectonics’ projects located in Philadelphia. The Q Tower was developed with MIT Media Lab to be a fully off the grid, robotic tower. With its 24 units and an elevated ground floor world-class restaurant, this building accommodates the public aesthetically and functionally, by participating as an integral part of a new type of technology-user connectivity. This robotic tower also efficiently uses geothermal energy, smart lighting, and cooling controls on sensors, and employs a solar-smart facade. Archi-Tectonics has recently been mentioned on FloorNature.com regarding our inclusion in the third volume of The Architect Series, the new cultural format at SpazioFMG per l' Architettura. Floornature.com also went on to talk about our investigation into "New Solids", further highlighted in our Inscape, Hangzhou, Gipsy Trail, 33 Vestry Street, and Soho Tower projects. To read more about our recent involvement, click the link below. Winka Dubbeldam was featured in the world premiere of "Unknown New York: The City that Women Built", a new documentary by Beverly Willis that aired on June 6 at the SVA Theatre, 333 West 23rd Street between 8th and 9th Avenues. The film "...reveals the secrets of the once-anonymous city, introducing us to the women of Gotham whose legacy envelops us today." Images and text credited to the Beverly Willis Architecture Foundation. As part of the Venice Biennale 2018, a session was organized on May 26th at the Sale d’Armi, titled Super City. Attendants included Winka Dubbeldam, Patrick Schumacher, Hernan Diaz Alonso, and Alisa Andrek, among others. Initiated by Tom Kovac for Malaysia’s Iskandar Puteri 100YC, architects and academics were asked to submit urban strategies; Winka spoke on her plan for Downtown Bogota, where bottom-up innovation is employed to reactivate Bogota's downtown. 05.06.18	– Archi-Tectonics wins Asian Games Sports Park Competition! Archi-Tectonics won the Asian Games Sports Park Competition 2018! Two stadiums, a shopping mall and a massive landscaping strategy are designed as a backdrop for the 2022 Hangzhou Asian Games, but also act as a neighborhood park for the adjacent urban development. The park proves to bring much potential, a 34,000 sq m Table Tennis Stadium and an 18,000 sq m Field Hockey Stadium serve the Asian Games, but all features of the design have legacy considerations: concerts can be held in either stadium, certain infrastructure disappears and turn into playgrounds, skate parks, etc. Look forward to seeing the result of this collaboration with !Melk, Thornton Tomasetti Engineering, Mobility in Chain, and Ryan Soames Engineering. 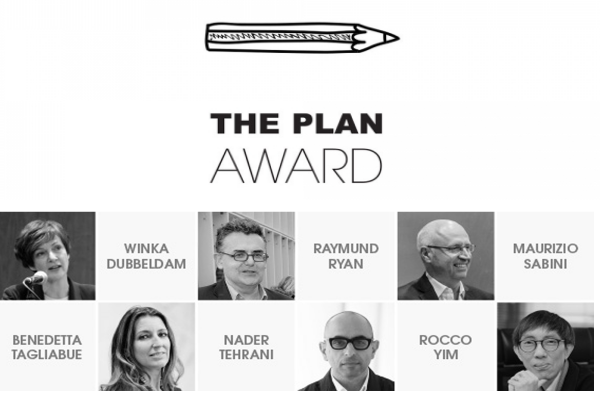 Winka Dubbeldam was invited to be a juror for the Plan 2018 Award in Venice on May 23rd, which aims to disseminate knowledge of and improve the quality of the work done by designers and students in the architecture and city planning fields. The Bartlett School of Architecture invited Winka Dubbeldam to speak at The Christopher Ingold Auditorium at the Bartlett in London, as part of the School’s International Lecture Series for 2018. On March 7th, Winka spoke to students about the importance of "New Solids" and how they have are to become an integral part of architectural innovation by integration of industrial design in architecture, and creating character and identity. The government of Jingzhou invited Archi-tectonics to participate in a development strategy for the Jinan New District Overall City Planning Optimization and Design. We think that the future of the city lies in a BOTTOM-UP approach where development is initiated by “acupuncture”. 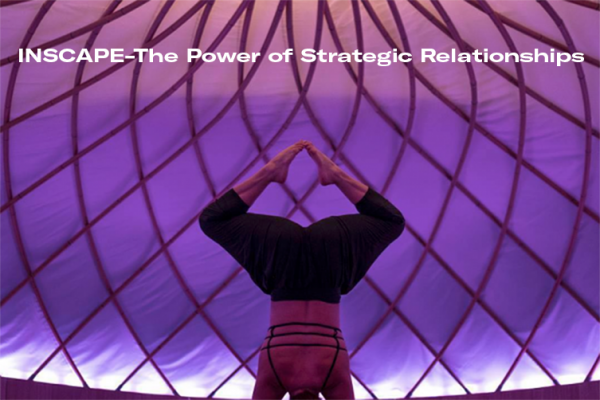 By acupuncture, we mean a strategic local approach of optimized infills within the urban fabric which are more adaptive and considerate to local economic and social pressures. For Jingzhou, we have developed FOUR Acupuncture techniques: Connect to the old city, Ribbon City as integrated work/live/play zone, Edge City as live/play zone, and the Venice Model as the recreation/play zone. Co-curated by Greg Goldin and Sam Lubell, the exhibition featured minimalist illuminated 3D Printed models as well as plans and drawings designed to animate “never built” buildings as if they were coming to life on the streets of New York. The exhibition was intended to offer a virtual reality of what the Metropolis that is New York City, could have been. Archi-Tectonics was honored to be a part of this exhibition, which was scheduled to take place at the Queens Museum in NYC, from September 17, 2017 to February 18, 2018. Our Soho Townhouse is nearing completion, and catching the media’s eye, this time on cityrealty.com. This one family Townhouse features a climat skin that helps regulate its views and more importantly the energy-use. Several glass cuts provide light at unexpected places; especially the staircore and the glass elevator in the back of the building. spaces. Winka was joined on the panel by Katy Donoghue, "Whitewall Magazine" editor in chief, Elian Zach-Sheshman, "WOOM Center"
co-founder, Paulette Cole, "abc carpet & home" CEO and creative director, and Amy Illias "abc carpet & home" EVP of art. Aliquam eleifend elit non ultricies efficitur. Fusce risus nunc, condimentum mattis egestas nec, luctus quis velit. Vivamus porta pretium ultricies. Etiam consequat felis ac magna pulvinar, vitae tincidunt mi consectetur. Mauris nunc enim, aliquam id condimentum eget, tincidunt id velit. Integer viverra dui vel odio porttitor, a viverra justo viverra. Duis posuere erat eu ante egestas, et lobortis ligula pretium. Cras sit amet nisi nec nulla molestie tempus ut a felis. Winka was one of the main critics of the jury of the International Student competition in architectural design launched by the School of Architecture of Tianjin University and the Urban Environmental Design in Xi’an, China. for an audience of over 1000 architects. 01.04.16	– Justin Korhammer announced as New A-T Partner! We are pleased to announce that Justin Korhammer has joined Archi-Tectonics as a partner as of April, 2016! He received his Masters of Architecture and studied Industrial Design in Braunschweig/ Germany, and has worked at several internationally renowned architectural firms since 1993, including Studio Daniel Libeskind, Eisenman Architects, and for 7 years at Steven Holl Architects, where he was responsible for many award-winning commercial, institutional and cultural projects. In 1999 Mr. Korhammer founded his own design firm, Anima LLC, with Florencia Kratsman. The firm is specialized in residential and commercial work and has completed more than 100 projects in the New York area and Puerto Rico. Justin has been teaching design studios at the Berlage Institute, Columbia University, Pratt Institute and most recently PennDesign. He has also been freelance writing for several European architecture magazines, such as De Architect and Bauwelt. medium.com has done a wonderful piece on Winka Dubbeldam, detailing important events from her lifetime and career. Check it out via the link below! Archi-Tectonics was excited to participate in The Architectual League of New York and Open House New York's Open Studio day on Saturday, July 11th. We were featured as "One of the forty most inventive and exciting design practices working in the city today". For more information check the link below. 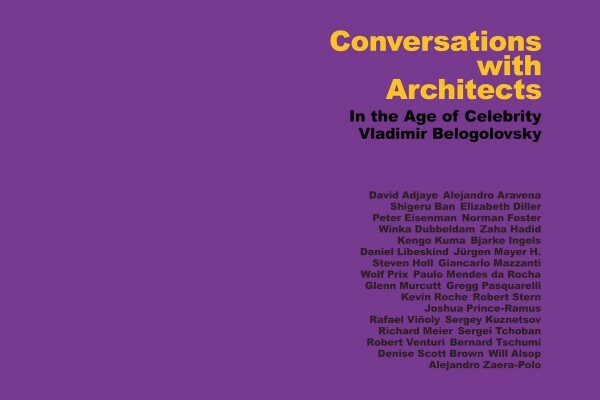 Archi-Tectonics is pleased to announce Winka's feature in Vladimir Belogolovsky's newly published "Conversations with Architects- In the Age of Celebrity". She appears alongside the likes of Zaha Hadid, Peter Eisenman, Norman Foster, and the like, as Belogolovsky details their work through a series of interviews.